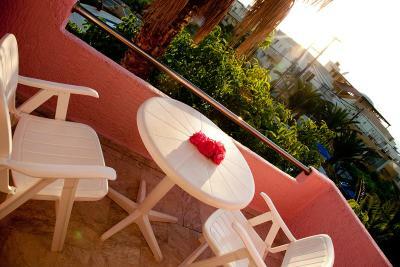 Lock in a great price for Anatoli Beach Hotel – rated 8.8 by recent guests! Pleasant and helpful staff. A very cute balcony and a sight at mountains and sheeps. A food was various and tasty. 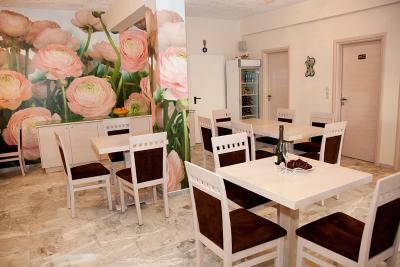 Authetic greek kitchen. The sea is near, over the road, about 300 metres. 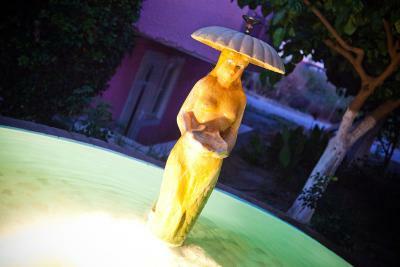 An ideal place to discover west crete. 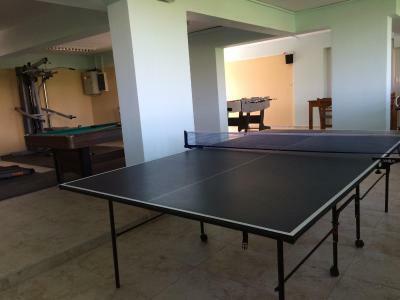 Friendly hosts, great swimming pool, close to the main road but away from the noise of it. Good breakfast. 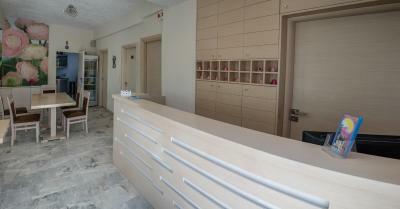 Good access to both Rethymnon and Chania. The hotel is in a great location. The family run business is very welcoming and friendly and they really can't do enough for you, whether it's dietary requirements or else. The room was cleaned every day and the balcony was fantastic as it was spacious and even had a clothes hanger to dry your clothes. The pool was fantastic - clean, big and refreshing. 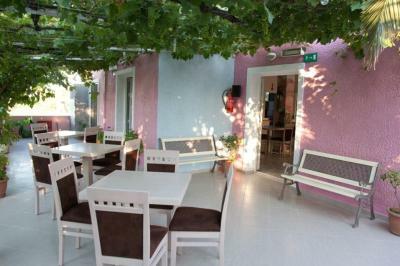 The choice of dinner was fantastic and the Raki and melon at the end of the meal was always a welcomed treat! 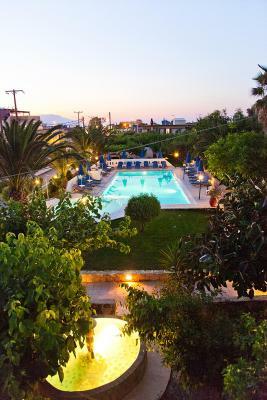 The location of the hotel is also great, as the beach is only a short walk away and is perfect for catching the sunset in the evening. Also there are a few bars and restaurants near by and a great night on a Wednesday and Saturday at the Mari beach, a 15 minute walk down the road - so worth it as the cocktails are freshly made in front of you and are to die for! We really enjoyed our stay here and would recommend. 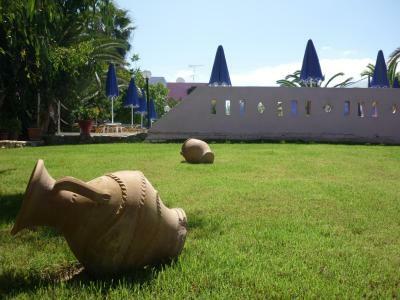 A lovely hotel in a quiet location away from the bustle of the front but within an easy stroll to the beach. 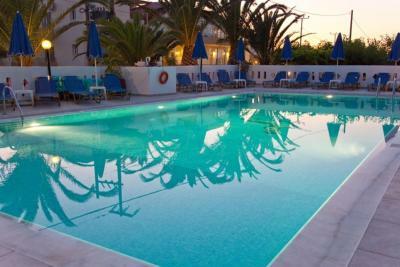 A beautiful swimming pool which we had virtually to ourselves most of the time. Very welcoming and attentive staff and excellent room service. A small and very basic shower and bathroom but a lovely view from the balcony. Good breakfast although fresh orange juice would be nice!!! Highly recommended. Lovely staff and great breakfast. Lovely pool and right next to the beach. 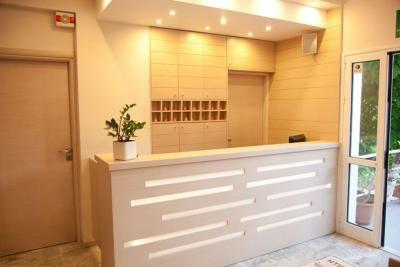 The hotel was spotless and.comdortable and staff very friendly and efficient. 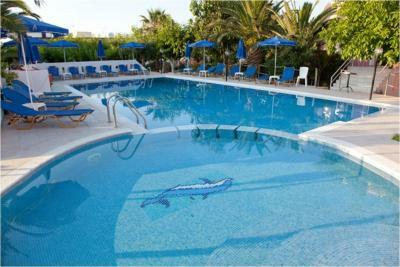 The pool area was very nice and always plenty of sunbeds. It's a few minutes off t he main area but that meant it was quiet and peaceful. Good breakfast offered too. Room cleaned every day and. 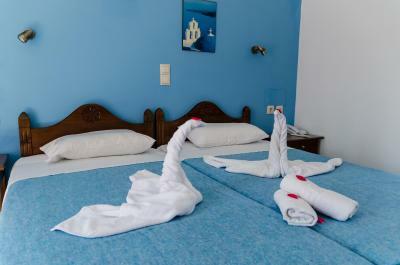 Lean towels and sheets at least every 2 days which for the reasonable cost was very good. It was lovely to spend time around the pool area. Food and drinks were available during the day. The restaurant provided a good, tasty value for money meal. The owners were lovely. Good taverna next door. 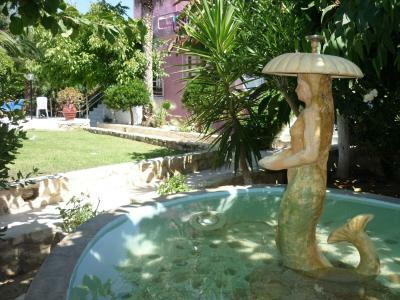 The owners were more than helpful and went out of their way to make our stay very enjoyable. 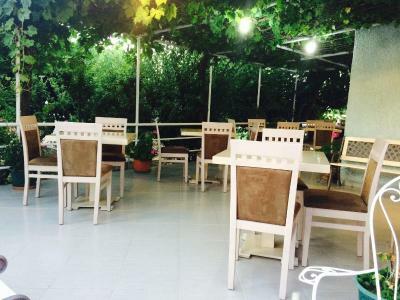 The inhouse dinnets were great value for money with delicious home cooked greek meals and complimentary desert. We were given a bottle of home made olive oil as a gift on leaving. 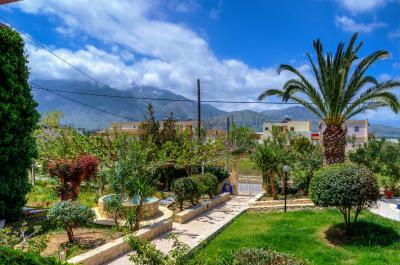 A lovely family run hotel in a very good location for touring the rethymnon prefecture. 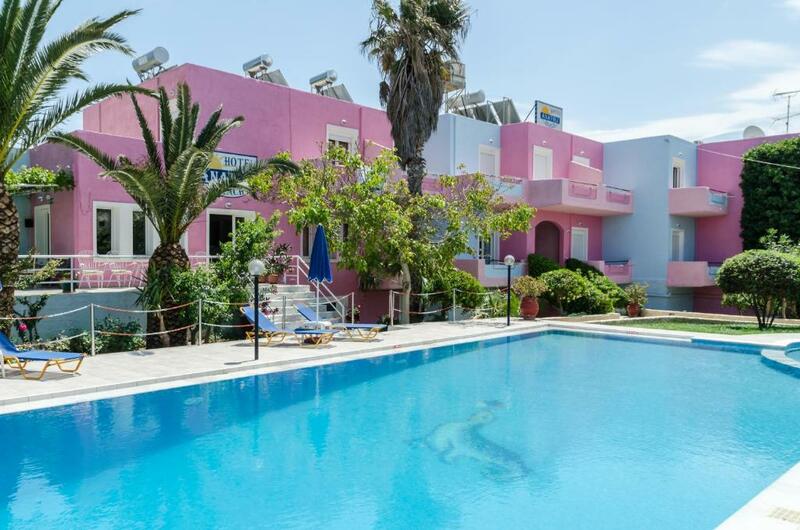 Anatoli Beach Hotel This rating is a reflection of how the property compares to the industry standard when it comes to price, facilities and services available. It's based on a self-evaluation by the property. Use this rating to help choose your stay! One of our top picks in Georgioupolis.Only 500 feet from the beach and with local transportation at 328 feet, Anatoli Beach Hotel is located in the quiet town of Kavros, just a few miles from Georgioupolis. 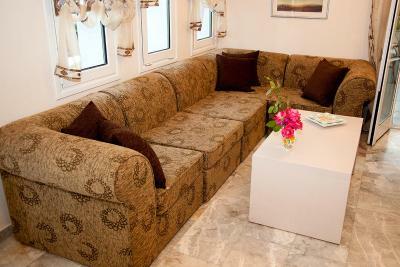 Each spacious room is equipped with satellite television and refrigerator. 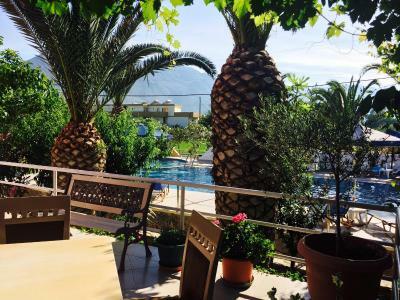 All rooms have a balcony overlooking the pool area, the mountains or the sea. 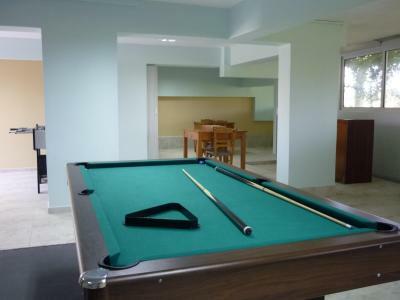 Surrounded by trees and a well kept garden, the complex offers a fitness center and a games room. 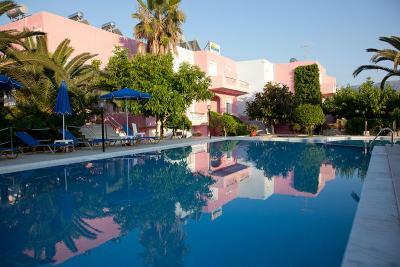 A large swimming pool for adults and a smaller pool for children are also available. There are free sun beds around the pools. 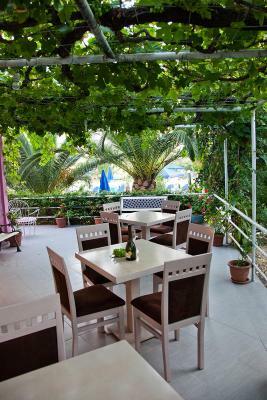 When would you like to stay at Anatoli Beach Hotel? Room for 2, with garden or pool view. 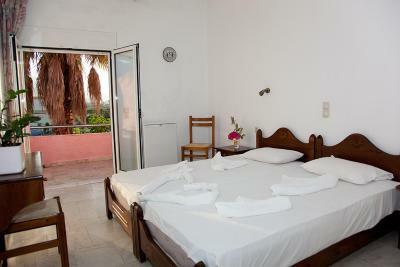 Room for 2 adults and 1 child, with garden or pool view. Please note that a child up to 12 years old is accommodated in a rollaway bed. 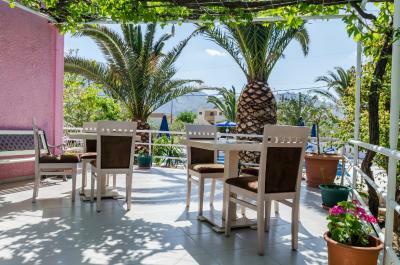 House Rules Anatoli Beach Hotel takes special requests – add in the next step! All children from 2 to 12 year are charged 20 % of the room stay per night for extra beds. 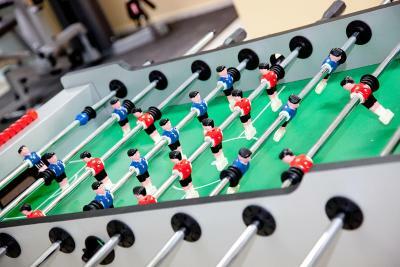 Any additional older children or adults are charged 20 % of the room stay per night for extra beds. Anatoli Beach Hotel accepts these cards and reserves the right to temporarily hold an amount prior to arrival. Only one bin in a room. It is not enough. Mosquitos at night bothered a little. Fridge next to the bed was quite noisy. Only one small bin in the apartment (in toilet) isn't enough. The beds are a little hard and the shower leaves a little to be desired as it doesn't have a glass door, it's a curtain and it's quite narrow/small, so not the most practical or spacious. Shower was small indeed, but after temporary removing the curtain and properly directing the shower head to avoid floods, this was no problem at all. 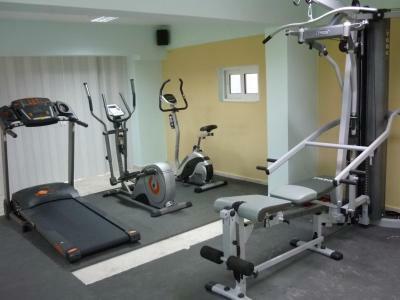 Gym area wasn't really very functional ! 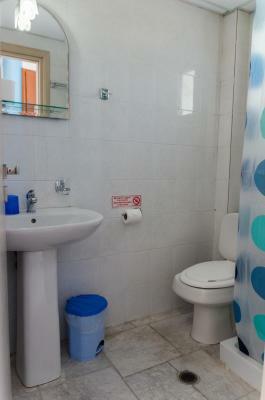 The bathroom was a bit on the small side and the shower wasn't very powerful however it was fine and met our needs. 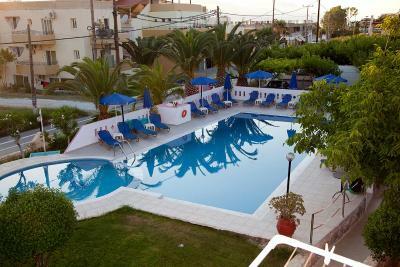 Anatoli Beach Hotel is a lovely, comfortable, small hotel in quiet area placed short walk from Karvos Beach. It's runned by a lovely family - they care so much for their guest's comfort. Nothing is a problem for them. We stayed there for one week and enjoyed every single day. 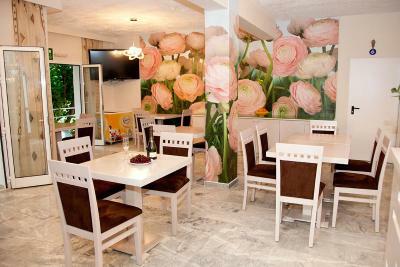 Breakfasts are delicious, you can enjoy it in charming, green terrace, listening smooth music. Room clean and comfortable. Nice swimming pool area. 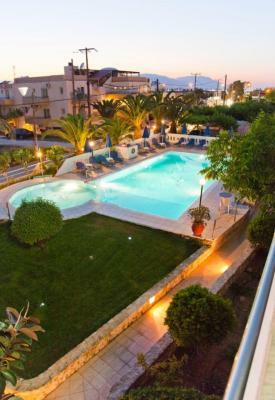 We traveled with my husband for 2 weeks in Crete and stayed in different places and we agreed this was the best deal we've got. 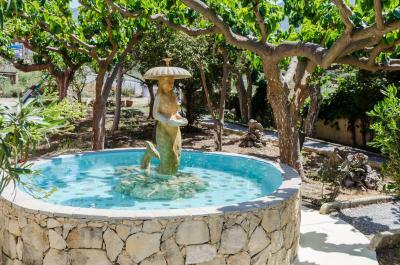 The area is full of interesting things to do - we went by bikes to Lappa - charming ancient town (10 km away and good work out on Cretan mountains). 4 km away is the only fresh water lake in Crete where we have rent a water's bike. 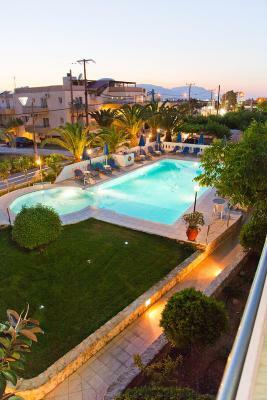 45 min away is Chania with its beautiful Venetian Old Town, 20 min away is Rethymnon with an old fortress and ruins. Beaches near hotel are wide and full of nice taverns. 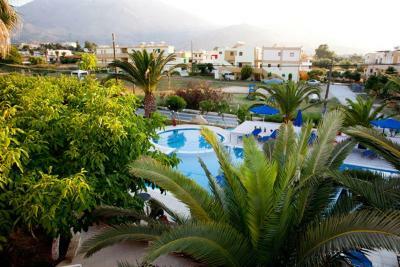 Much better than crowded and commercial Malia. We had an amazing time, one day we will be back :) thank you for all!